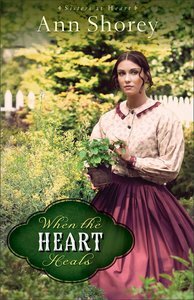 About "When the Heart Heals (#02 in Sisters At Heart Series)"
Ann Shorey has published selections in the Cup of Comfort series and in Chicken Soup for the Grandma's Soul. Shorey lives with her husband, Richard, in Sutherlin, Oregon. This is her first novel.